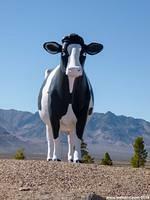 A giant cow in the Nevada desert! 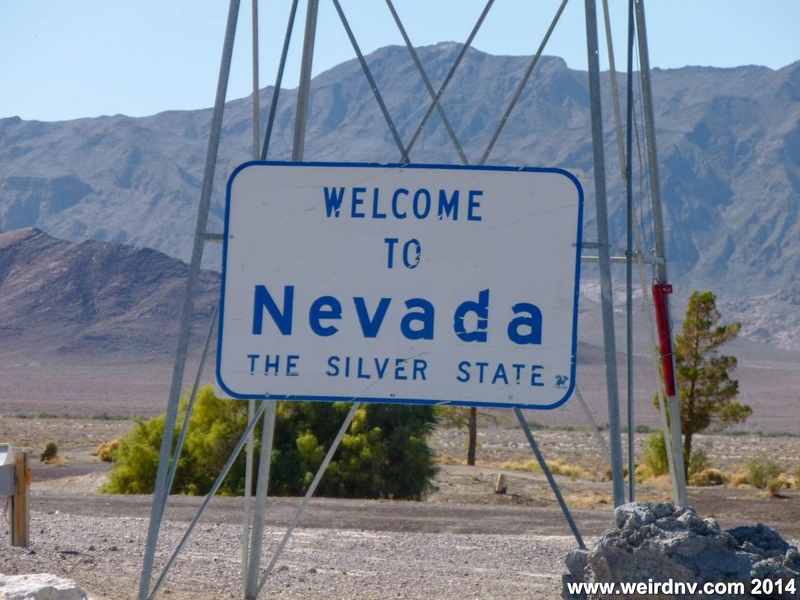 Shortly after you cross from California into Nevada, where California Highway 127 becomes Nevada Highway 373 (and the road is better paved by the way), on your left you'll see a giant cow. 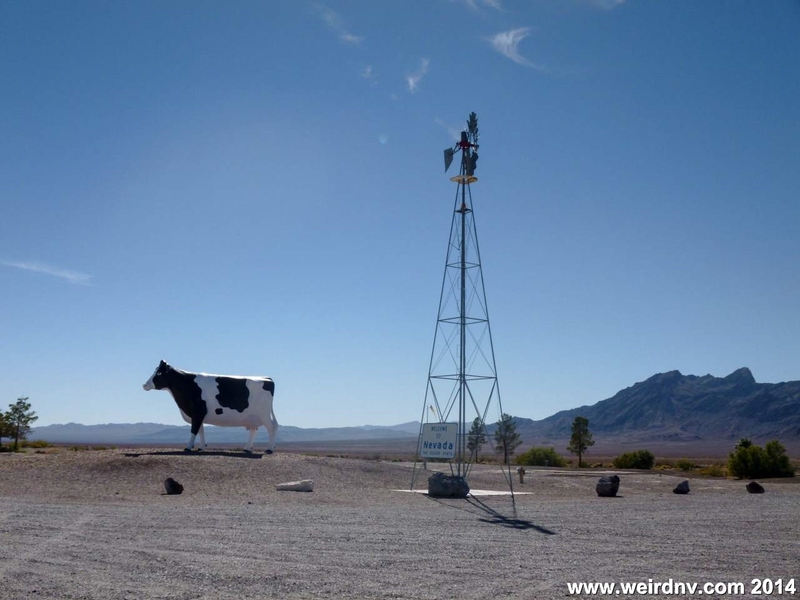 Yes, in the middle of the Nevada desert, there's a giant fiberglass cow, sitting next to a weather vane welcoming you to the state. It's next to the Longstreet Inn and Casino and stands about eight to ten feet in height. 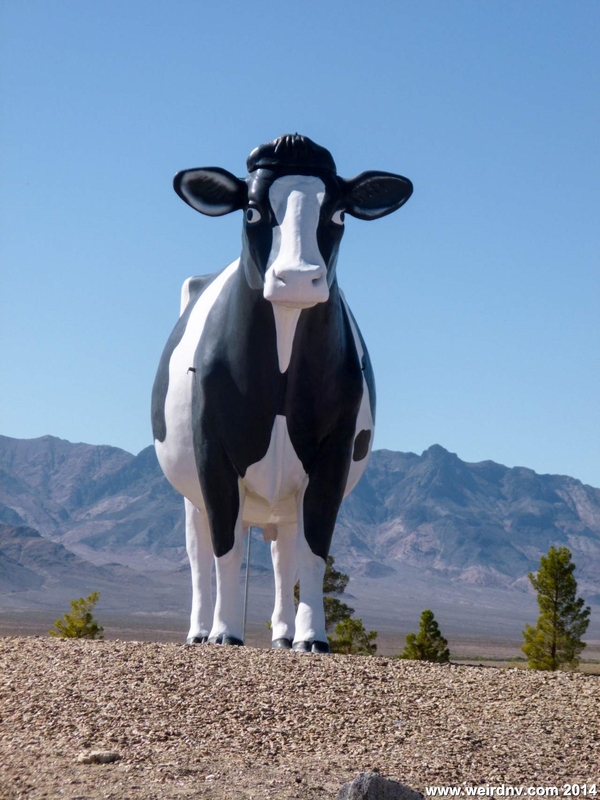 The cow was formerly in Las Vegas, standing on top of what was the Holy Cow Casino and Brewery, but she relocated here to Amargosa Valley. 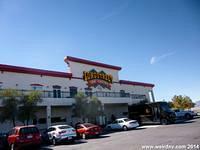 The Holy Cow Casino and Brewery operated at the corner of Las Vegas Boulevard and Sahara Avenue from 1993 to 2002. It was the first micro brew in Vegas. 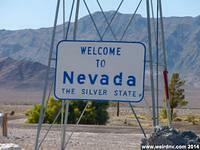 The cow wore sunglasses when it was living on the Strip. For a few years, Longstreet Inn and Casino was actually, in fact, home to a gigantic live steer named Herman. Herman was 3000 pounds and stood six feet four inches tall. The massive steer sadly passed away on July 25th, 2013. The steer was buried near the RV park leaving the gigantic fiberglass cow the only enormous bovine in town. 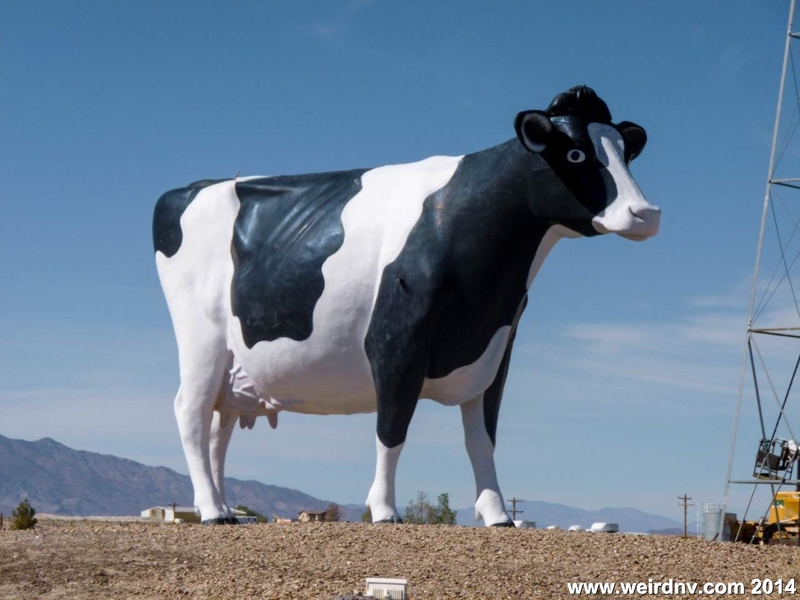 The gigantic fiberglass cow is not suppose to be a replica of Herman and it has been reported that the fiberglass cow has the name Alphie. Giant cow with weather vane.